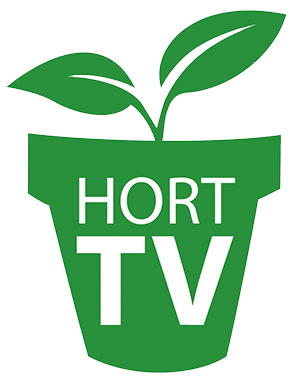 A spring trip to the Twin Cities and some of the area’s finest garden centers supplied numerous ideas you can implement this season and in the years to come. 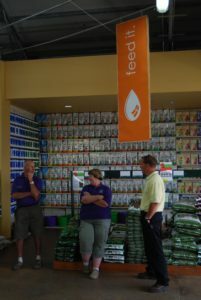 For this photo-heavy look at Minnesota garden centers, see the PDF below. 1. The first thing customers see when they walk into the greenhouse at Tonkadale is what’s called the “seasonal arbor.” Shade containers on one side and sun on the other separate these drop-in ideas that are ready for people to take home instantly. 2. Tonkadale has dedicated a large footprint to miniature gardening with this whimsical display with bright colors and elements sure to catch the eye of even the youngest shoppers. 3. Miniature gardening knows no age though, as shown with this creation in a fountain. 1. Cal’s Market & Garden Center eliminated its landscape division in 2006 before the recession, and they’ve since replaced it with Cal’s Gardening Gals, a gardening service. Cal’s Gardening Gals saw a 100 percent increase in sales from year one to year three and is now in its fourth year. 2. Bright, easy-to-read signs separate plants by “thriller,” “spiller,” or “filler” either for shade or sun. 3. Cal’s No. 1 seller is its geraniums, in a deep pot, which are on display in a big way. 1. This urban garden center showcases the relationship between its retail space and its farm, which is located about 40 miles west of the city. 2. Tangletown Gardens owners Scott Endres and Dean Englemann also own Wise Acre Eatery, a full-service restaurant next door, which serves vegetables, meats and poultry that are all raised on the farm. 3. The company’s Community Supported Agriculture program continues to grow membership and distribute nutrient-rich vegetables. 1. Fairy gardening is a large category at Southview Garden Center, where you can find displays throughout the gift shop, greenhouse and outdoor spaces. 2. Projects like this miniature garden in a chair are showcased at the garden center’s Pinterest party each summer to help inspire customers. 3. The company hosts a miniature gardening seminar for adults and a fairy fest for kids, complete with “real” fairies, each year. and outdoor living departments, along with greenhouse and nursery. The company even redecorates a house on the property three times a year, “The Inspiration House,” and sells tickets for people to visit. 2. The “Potting Bench” is full with already crafted containers meant to inspire do-it- yourselfers or act as a grab and go solution. The station is staffed during popular hours every day for container help. 3. Tear off guides for a “Plant By Numbers” approach allow customers to emulate what they see in the Potting Bench area. 4. New for 2016, sale tags go above signs, so they don’t cover up the valuable plant information or descriptions. 1. Sunnyside Gardens uses chalkboard-like signs throughout the garden center, to draw the eye to some trendy categories, such as succulents. 2. Bright colors near the entrance made these containers stand out. When I returned at the end of the day to pick up a hostess gift, there were only three of these left! 3. Cross merchandising was key throughout the garden center such as this tomato food along with the the plants and signage. 1. Waldoch Farm celebrates a big milestone in 2016, 100 years in business. Employees display the exciting anniversary on their uniforms, and even customers can get in on the action with some of the store’s free T-shirt giveaways, or by purchasing their own. 2. Talking about the company’s roots, the Waldoch team has been doing produce and vegetables since the very beginning, with a large array in the department. 1. Timing is everything, and with the last day of school approaching, this display gave shoppers a new idea of something to pick up for teachers. 2. Speaking of good timing, this patriotic display provided some Memorial Day inspiration. 3. A simple way to give customers confidence in their choices is by letting people know what varieties are staff favorites. 1. Repurposed pallets line the wall next to the entrance, with hot items such as terrariums. 2. The greenhouse displays also bring together some of the company’s gift shop items with the real bread and butter, plants. 1. Inside at Otten Bros. a large beekeeping section positions them as an expert in the area, providing the company’s “Ask Our Beekeeper” email address and reminding people to sign up for the loyalty program to learn about upcoming events on the subject. 2. Having a hive on display shows customers what they’re going to get and one of many ways to decorate it.